Participating in an internship in business and/or the private sector? Apply for $5000 in funding. An important goal of the College of the Liberal Arts is to involve undergraduates in appropriate enrichment activities. Accordingly, the College, as well as a variety of Academic Departments, has modest funds available to assist students participating in activities such as internships or education abroad. Liberal Arts majors seeking financial support for such enrichment activities are encouraged to read the information on this page and apply to the Liberal Arts Enrichment Funds Application System (the link to the online application system can be found in the Application Requirements section below). Liberal Arts majors requesting funding to support a research experience should visit the Liberal Arts Research Support website for specific information and instructions. Note: Final summer deadline is June 1. Applications will not be accepted after June 1 for the summer semester. Applications submitted after these deadlines will be considered on a funds-available basis, so it is to your advantage that you submit your application before the priority deadlines. Research applications will be reviewed on a rolling basis. International internships and semester or year-long Penn State study abroad programs in non-English language contexts Funding will no longer be provided for short-term volunteer experiences, such as Global Brigades. Liberal Arts majors are NOT required to have demonstrated financial need as determined by FAFSA (although this information is taken into consideration during the application review process). Students participating in an IUG program MUST read the appropriate FAQ in the last section of this website to determine their eligibility. Research applicants must visit the Liberal Arts Research Support website for eligibility and application instructions. ALL internship and global experience applicants and award recipients should read the FAQs section of our website in which we provide detailed answers to commonly asked questions. When will my enrichment award be disbursed? How will I receive my enrichment award? How can I confirm that my application was received? How much funding should I request/will I receive? Log into the Liberal Arts Enrichment Funds Application System using your Penn State Access ID and password. Liberal Arts majors will be able to create a new application or view previously submitted applications. Once you begin your application, the system will time out after 6 hours. After logging in, some information will be automatically pulled about the applicant from LionPath. If any of the pre-filled information is incorrect, it must be updated in LionPath before completing the application. Applicants will be asked to provide basic details about the enrichment experience (e.g. type of experience, dates, contact names, salary, etc.) and provide short answers to questions like “What do you hope to gain from this experience,” etc. Applicants will also be required to provide a detailed list of expenses for which funding is being requested. Appropriate expenses may include airfare for study abroad, mileage or housing expenses for internships, etc. In most cases, we are unable to provide the full cost of an enrichment experience. Award amounts vary, but they typically range from $100-$2,500. Please think critically about the amount of funding you are requesting. Applicants will be asked to provide a copy of the acceptance letter (e.g., email, letter on organization’s letterhead, or screenshot) into the program if they are participating in an internship or global experience, or a faculty letter of endorsement if they are undertaking a research project. Lastly, applicants will be asked to upload an updated version of their résumé. Please have these files on hand before you begin your application as you will not be able to save and come back to your application. Your enrichment award will be deposited into your student bursar’s account the semester during which you participate in the experiential learning experience. If you have holds on your account or any outstanding registration issues, or if your bill has not been paid, this will prevent your award from disbursing. Be sure to check LionPATH for information on holds and any ‘To Do List’ items. Check with the Penn State’s Office of the Bursar for billing questions, Office of Student Aid for aid-related questions, and the Office of the University Registrar for registration and scheduling questions. Summer semester enrichment award recipients should be aware that their course schedule may impact the timing of the disbursement of their award. Student Aid will begin disbursement of summer enrichment awards to student accounts in mid-May. Your enrichment award will be disbursed according to your Bursar Account settings, so make sure your account is set up properly in advance. When you log in to LionPath, you will be able to choose whether you would like to enroll in “eRefund” or if you would prefer to have your refund mailed to your permanent residence address. Most students choose to enroll in eRefund program so that the funds are directly deposited into their bank accounts. Any questions you have about your Bursar Account or the disbursement of your award should be directed to the Penn State’s Office of the Bursar. Please note that any disbursements into your bursar account will first be applied to any outstanding balance on your account. You will receive a refund for any remaining credit according to the refund option that you selected on LionPath. Do I have to be registered for academic credit to receive enrichment funding? No, Liberal Arts majors do not have to be registered for academic credit to receive enrichment funding for internships or global experiences. For instance, a student taking a leave of absence for the spring semester to participate in a full-time internship or co-op program may request enrichment funding as long as the student will be registered for courses the following semester. However, applicants must still be considered undergraduate students at Penn State University in the College of the Liberal Arts. Liberal Arts majors who have graduated prior to their enrichment activity may not apply for enrichment funds. Depending on the nature of your enrichment experience, the Liberal Arts Enrichment Committee may not approve your application for funding. Can I apply for funding if I am participating in an Integrated Undergraduate/Graduate (IUG) Program? Students participating in an IUG program in the College of the Liberal Arts may apply for funding as long as they: 1. Are NOT registered as full-time graduate students the semester during or directly after the enrichment experience; 2. Have NOT filed an intent to graduate from their undergraduate degree program the semester before or of the enrichment experience; and 3. Meet the general enrichment funding eligibility requirements outlined on this website. The amount of funding you request depends on the nature of your enrichment experience. In most cases, the College of the Liberal Arts does not have the funding available to support the entire cost of students’ enrichment experiences. For instance, students participating in semester long education abroad programs should not request the total budget included in the budget sheets provided by Global Programs (total budgets on these sheets range from $8,000 - $30,000). Instead, think critically about the funds you will need to make this experience more affordable for you. You might focus instead on the cost of airfare or textbooks. A reasonable amount to request in your application can range from a few hundred to a couple thousand dollars. You will be notified of your award amount once your application has been reviewed and approved by the Liberal Arts Enrichment Committee. Unfortunately, we cannot inform you of your specific award amount until your application has been formally processed and approved. A variety of factors are considered when reviewing applications, including, but not limited to: the cost of the program, the student’s demonstrated financial need, the student’s cumulative GPA, previous enrichment funding received, as well as the quality of the enrichment application. Awards are also determined by the funds available at the time of receipt as well as the specific criteria of our funding sources. In general, enrichment awards can range from $100-$2,500. International students should make sure to read the information about potential international taxes on all Penn State scholarships/awards on the Student Financial Services website. For further information contact Student Financial Services office at 814-865-0461. How can I confirm that my application was received by the Career Enrichment Network? Once you have completed your enrichment application in our on-line system, a confirmation email will be sent to your Penn State email account. The email will indicate that your application has been submitted. Please also check your junk folder in the event the email was quarantined by your email system. If you did not receive this confirmation email, your application was likely not received. Additionally, if you log into the on-line application system, you should be able to see a list of your open applications. If you do not see this information, your application was not received. If you are still not sure if your application has been received, contact the Career Enrichment Network at lanetwork@psu.edu or 814-865-1070 to check on your application status. Tip: Once you log in to the on-line application system, your session will time out after 60 minutes. If you have had your session open while you have been preparing your application, your session may time out before you submit your materials and will not be received by our office. It is best to prepare your application materials first, then log in and submit the required documents in the on-line application system. In most cases, if you have submitted by the deadlines indicated above, you should hear from us within two to three weeks after your application has been received with a decision regarding your application. Enrichment applications must be reviewed and undergo a variety of processes and approvals before students can be notified of their awards. Consequently, it may occasionally take us a bit longer to get back to you about your application. Feel free to call or email our office if you would like to check on the status of your application. Please note, if you are applying for funding from the Chapel Executive Internship Program or the Tel Akko Enrichment Fund, applications will be reviewed after the deadline for which you are applying. Once all applications have been received by the deadline, applications will be reviewed and awarding decisions should be made within two to three weeks. Your academic major department will also be given access to your enrichment application for review. If your department is able to make an additional contribution, you will hear from them separately. Can I apply for funding after the priority deadline has passed? Yes, students can submit enrichment applications after the semester priority deadline has passed – within reason. All applications must be received in the semester during which the enrichment activity is occurring. For instance, you cannot apply for funding for a fall study abroad program in the subsequent spring semester. Note: For the summer semesters, we have a FINAL application deadline June 1. Summer applications received after June 1 will NOT be considered for funding. Applications will be reviewed on a rolling basis before the specific semester deadline. Applications will be considered after these deadlines on a funds-available basis, so it is to your advantage to submit your application before the priority deadlines if at all possible. Enrichment applications submitted to support research experiences will be reviewed on a rolling basis. What information should I include in my thank you letter? Most College of the Liberal Arts enrichment awards are made possible by generous donations from liberal arts alumni and friends. Undergraduate recipients of these enrichment awards will be asked to write a thank you letter to the donor(s) responsible for their award. Donors enjoy hearing about your career plans and extra-curricular activities, as well as about how the award will help you participate in your enrichment experience (i.e. internship, study abroad, or research program). Please make sure to read your award notification email from the College carefully so that you include the appropriate information and salutation. Letters should fit on one page, be single-spaced and include the student's contact information. Do not date your letter and make sure to include information about your enrichment experience. What are my enrichment assignment options? 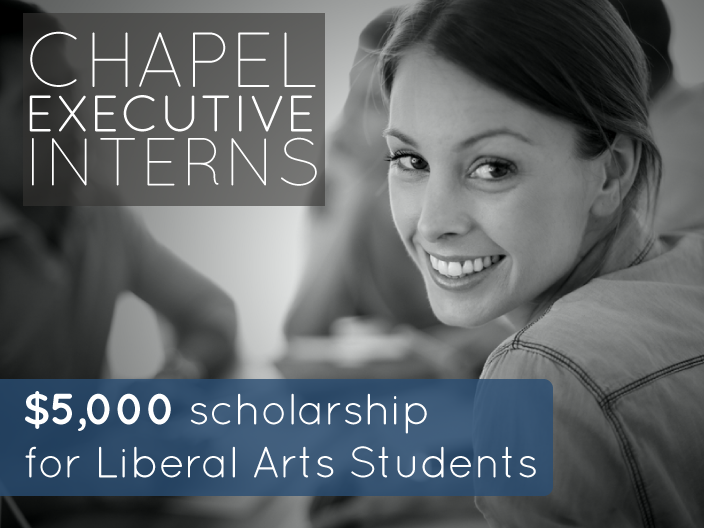 We ask that all Liberal Arts majors who have received enrichment funding from the College complete a student profile. The profile will ask some basic questions about your enrichment experience and include a section to submit photos. Students should submit the profile after they have spent some time participating in the enrichment experience.